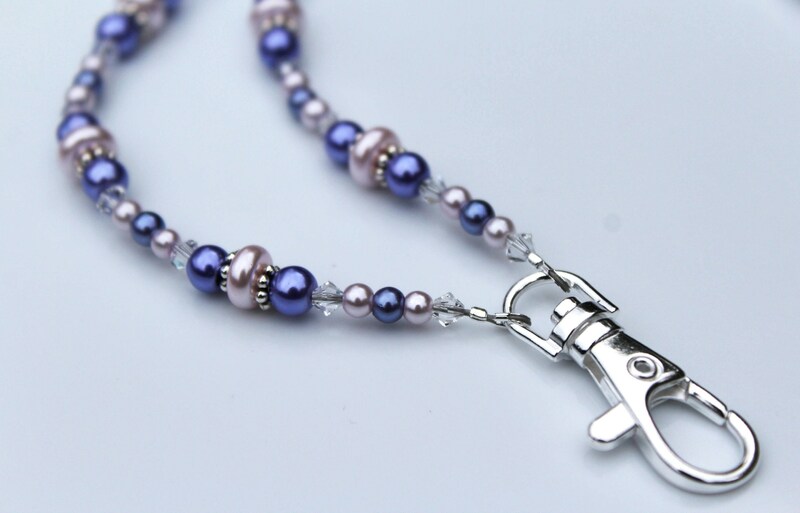 I do almost everything for a reason...and my reason for this piece, was to give you a gorgeous piece that you could get use out of, every day. 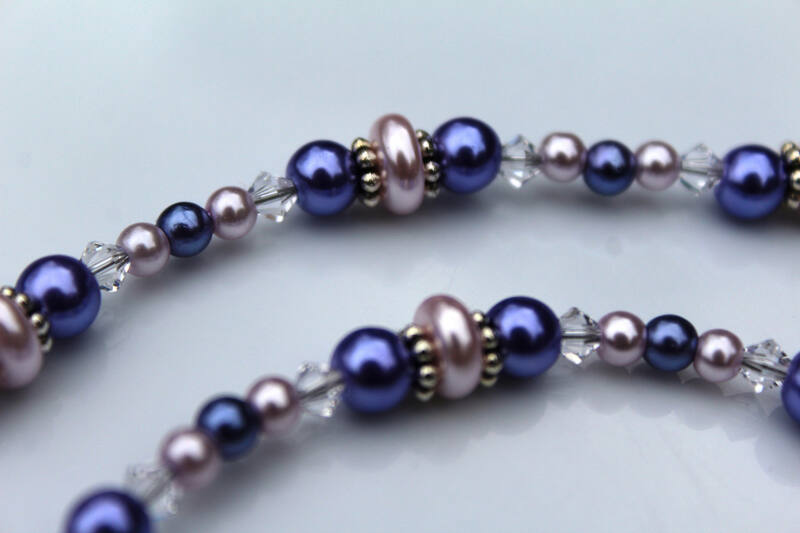 Glass pearls in shades of violet and lilac come together to give you this calming, soft toned lanyard, with bits of sparkly crystals in between. 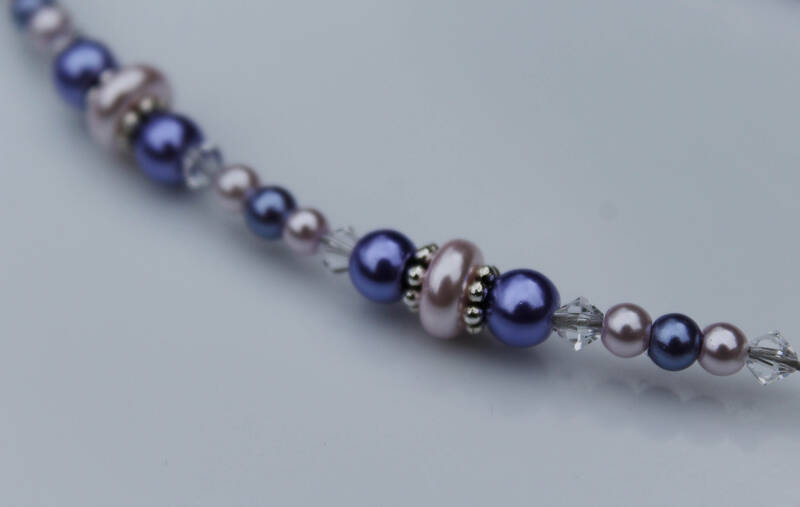 Look your best and feel your best, every day at work or at school with this ID Badge Holder that was designed to be something stunning, yet very practical, usable, and affordable too. What more could you ask for in a gift? 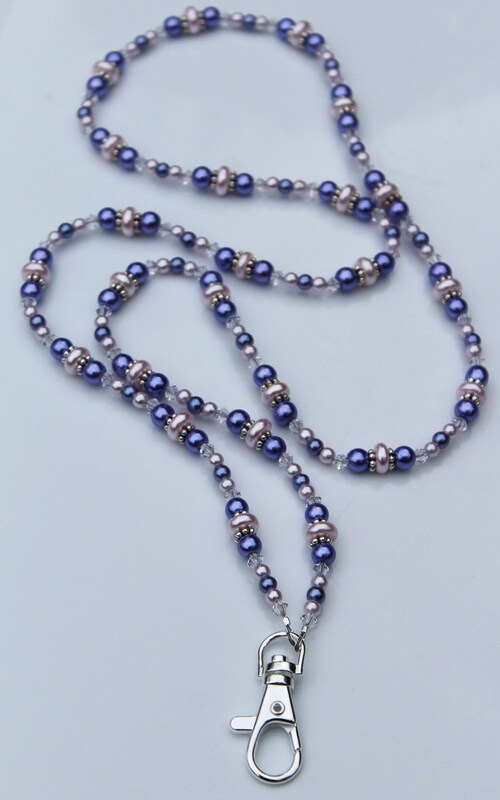 The crystals used are Genuine Austrian Crystals. 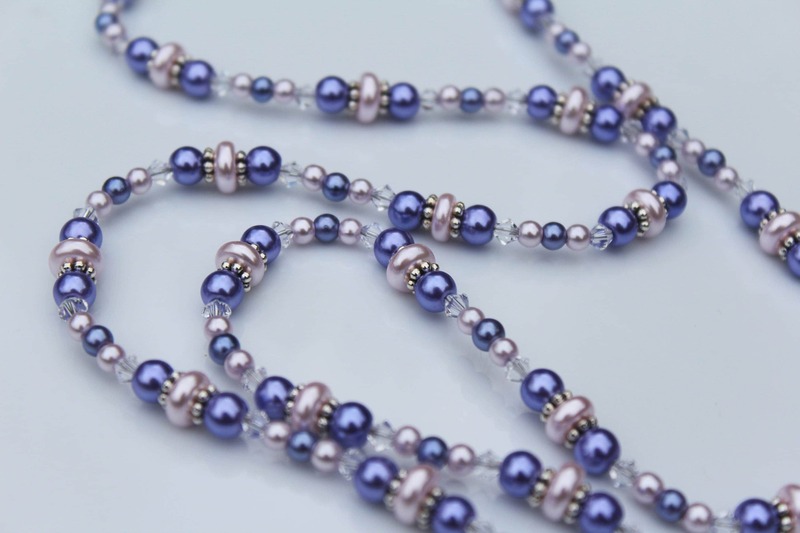 The largest purple round beads are 6mm. 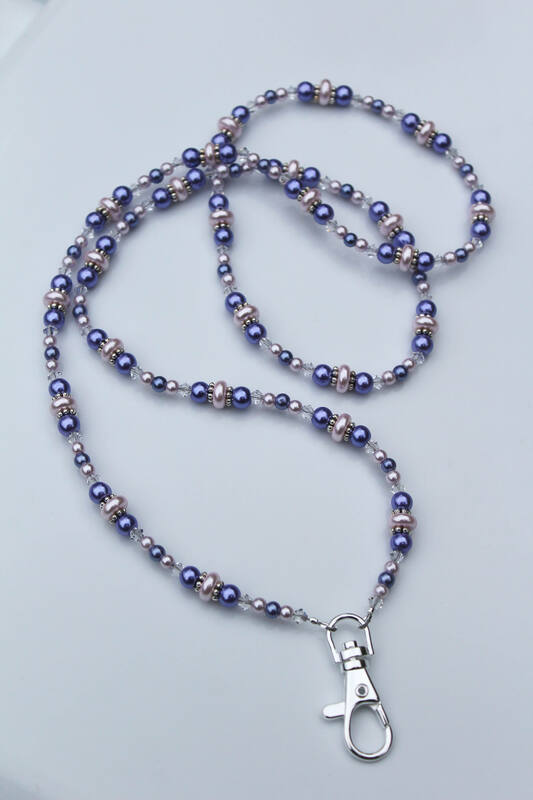 This lanyard is an original design, created and handmade by Michele of MichelesAManoDesigns.